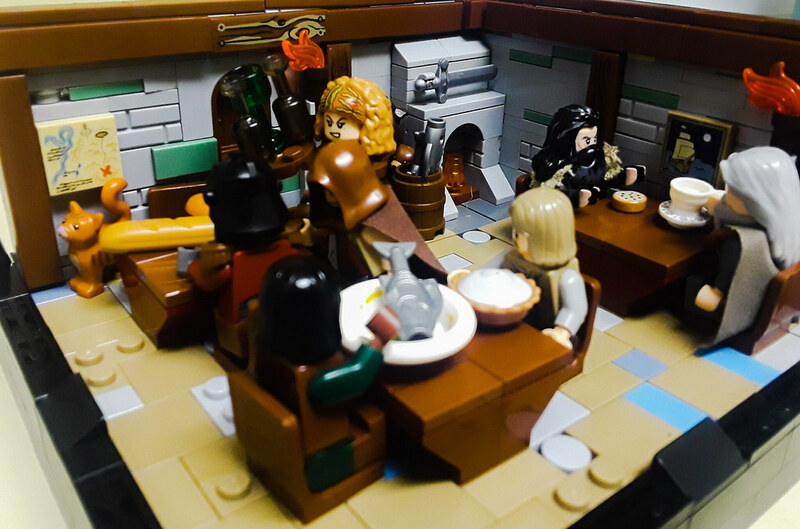 This is a remake of a very old MOC of mine, and one of my favorite scenes from the Appendices of LOTR. 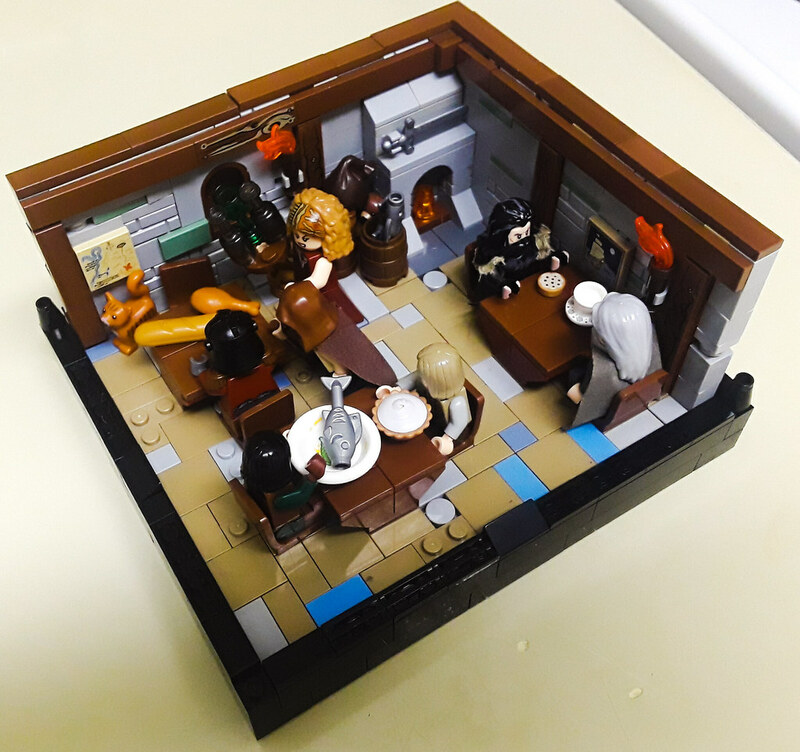 The original MOC was absolutely horrendous so I will not link it here. If you care to dig through my MOCPages folders, feel free to suffer! 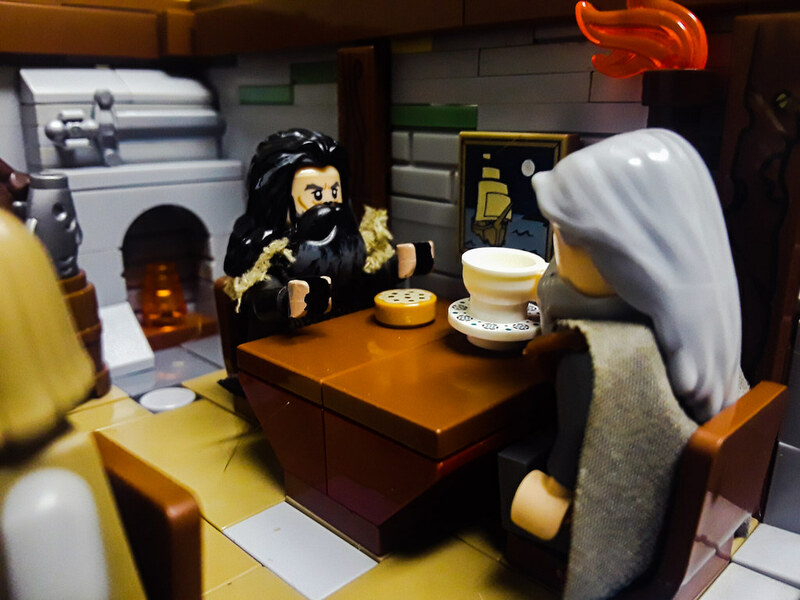 Thorin tells Gandalf of his plans to reclaim the Lonely Mountain (Erebor) and Gandalf offers to find the 14th member of the company. This is based on my own interpretation of the scene in the book, as well as a painting by Ted Nasmith, rather than the scene from the movie. I tried out some new techniques and styles here and I tried to put in as much detail as I could. Overall I'm rather happy with the results. I appreciate all comments and constructive criticisms!